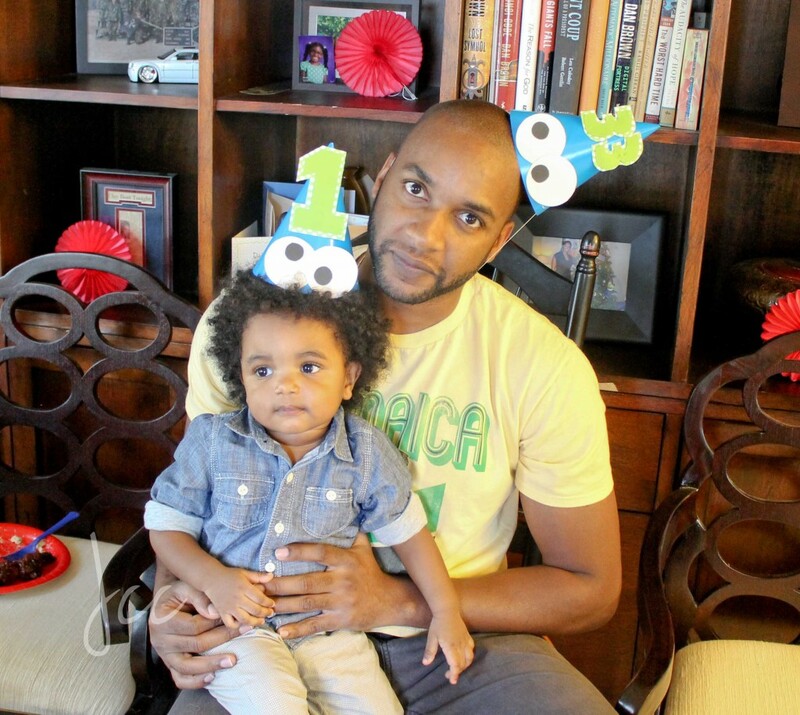 Yesterday was my son’s first birthday and we celebrated by having a Sesame Street party the day before. I started planning 2 months ahead because I knew that I would be making all my decorations at night after my son was asleep. Plus I had lots of grand plans so I knew I needed the extra time to execute them. 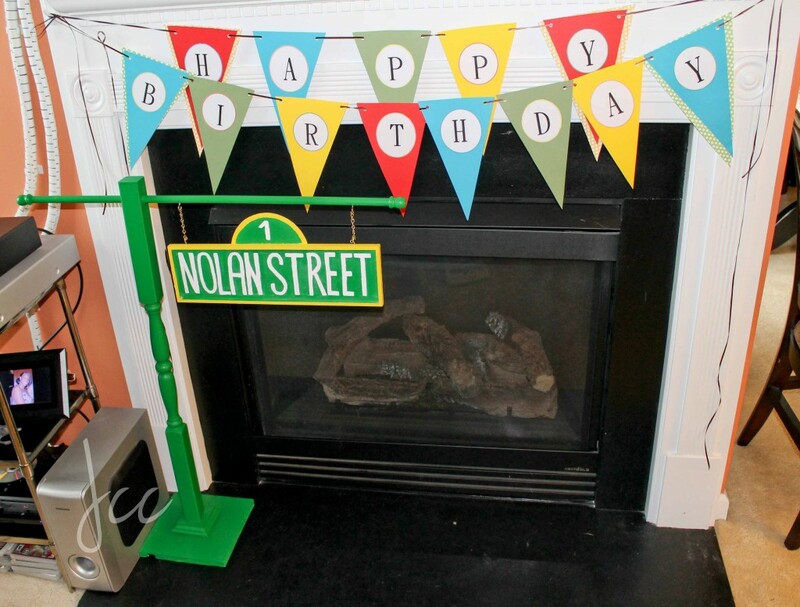 I started by making a wooden street sign I kept seeing all over the internet when I was browsing for party ideas. I am in love with the results and so glad that I decided to put in the work and make it myself. That was one of the many projects that followed. Night after night I would sit at my dining room table which remained covered in craft supplies for more than a month. From banners to party hats, I cut and glued night after night. I shared a few pictures along the way on Instagram as I worked. Next came the menu. Believe it or not I didn’t spend too much time fussing over it. I knew I had to have a dessert table and that the food had to simple enough for me to handle on my own but it had to be tasty. I made cheese burger sliders, oven baked BBQ wings, 7 layer salad (this was the highlight for me) and chicken quesadillas and my father in law made a meat and cheese platter and a friend brought shrimp pasta salad. Everything was absolutely delicious. I did hear a whisper in the party about there being no curry goat but hey, why cook what you eat all the time at a party? Fact: West Indians expect to find curry, peas and rice, cook up, roti and chowmein at every party. Fact: Because I have this blog it’s even more expected of me. Fact: I don’t like making what I consider everyday food at parties and holidays so I always disappoint…that is until they see/taste what I’ve made. But I digress. Now the dessert table was my baby. I spent more time thinking about cakes, cupcakes, cookies and popcorn than I care to admit. I planned every detail carefully, scrapped a few ideas and added more along the way. 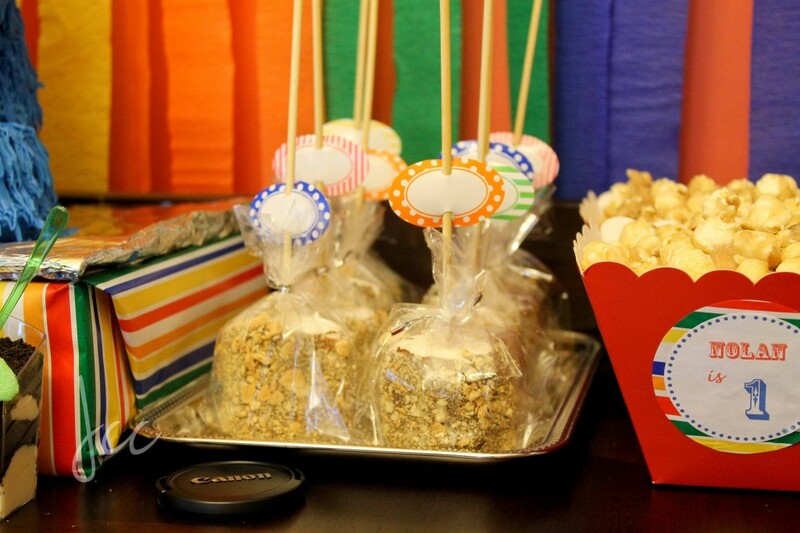 I settled on making giant smores pops, sugar cookies, dirt cake and a Cookie Monster cake. I’ve made cakes in the past for friends and family but knew this one had to be extra special and that it was. 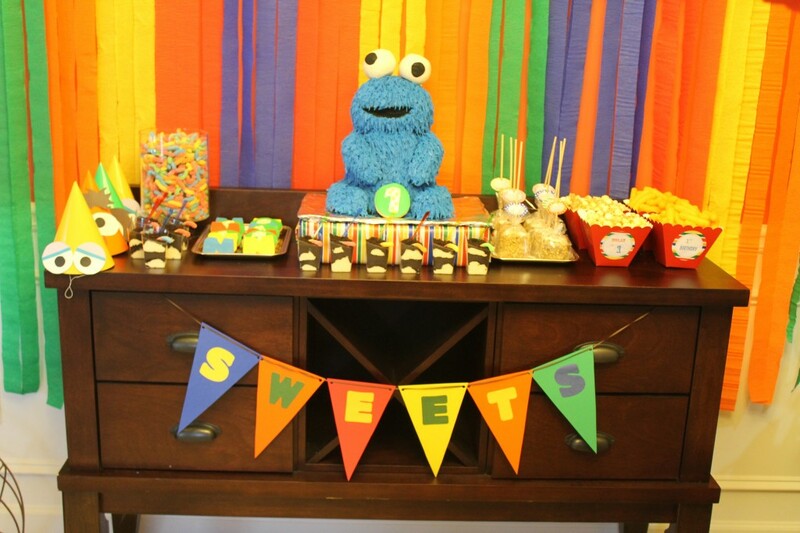 Cookie Monster was easily the showstopper, he received lots of oohs and aahs and questions about his fur. I was proud, as he was my best work and he was for my son. The party went off without a hitch. 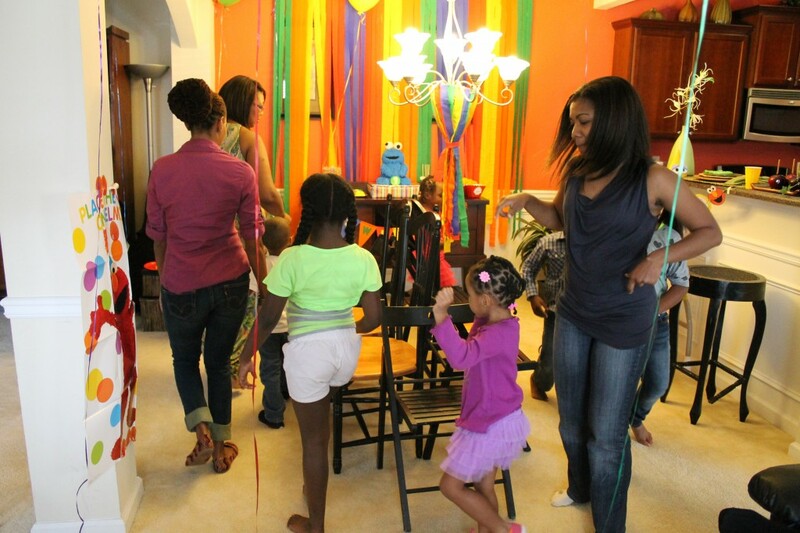 I made sure to provide entertainment so I wouldn’t have 8 kids in sugar comas running amuck. 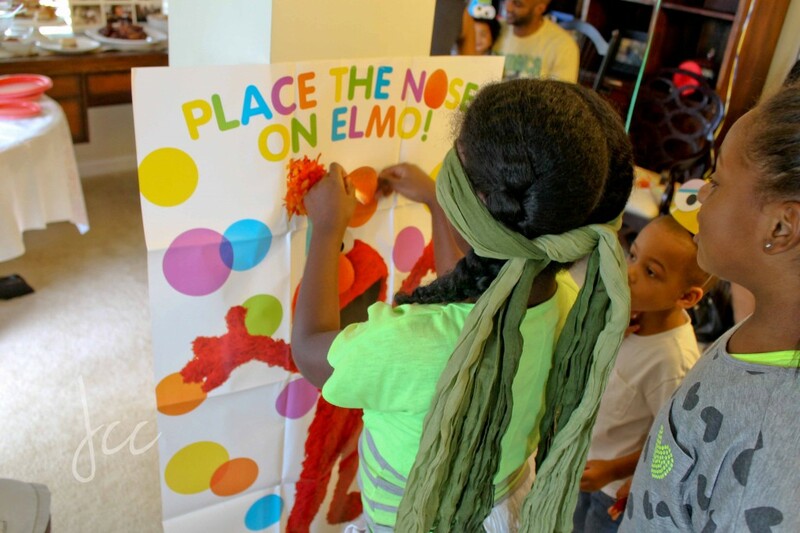 They played pin the nose on Elmo, musical chairs (hilarious), counting with the count and colored. They were also thoroughly entertained by the balloons that hung from the ceiling. I think it’s fair to say that fun was had by one and all big and small. 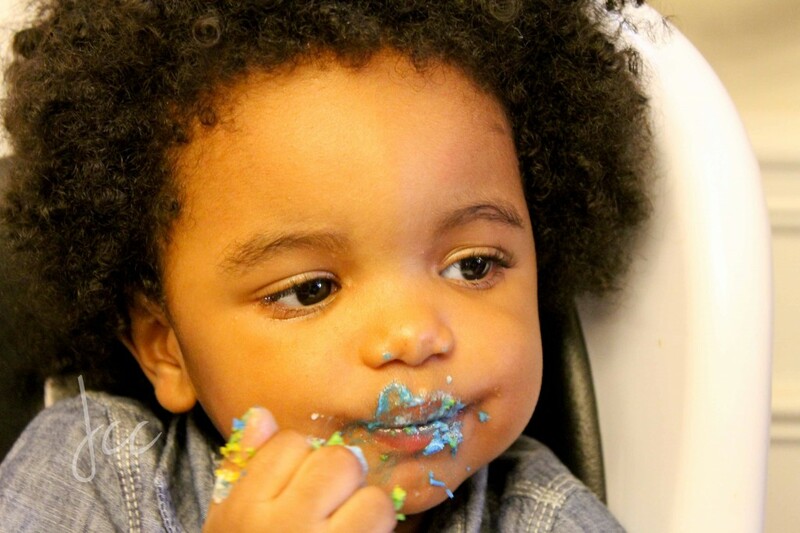 Even though my son was a bit tired, he socialized, sat on various laps, played and had a mouthful of cake. I know he won’t remember this day but when he’s old enough he has lots of pictures and videos of his first birthday. I wouldn’t have it any other way, plus I wanted to honor his very first birthday. The only thing that could have made this day even more perfect was if my family was here….but there is next year! A big thanks to all that came and shared our son’s special day. Very well done J. the pics are lovely. 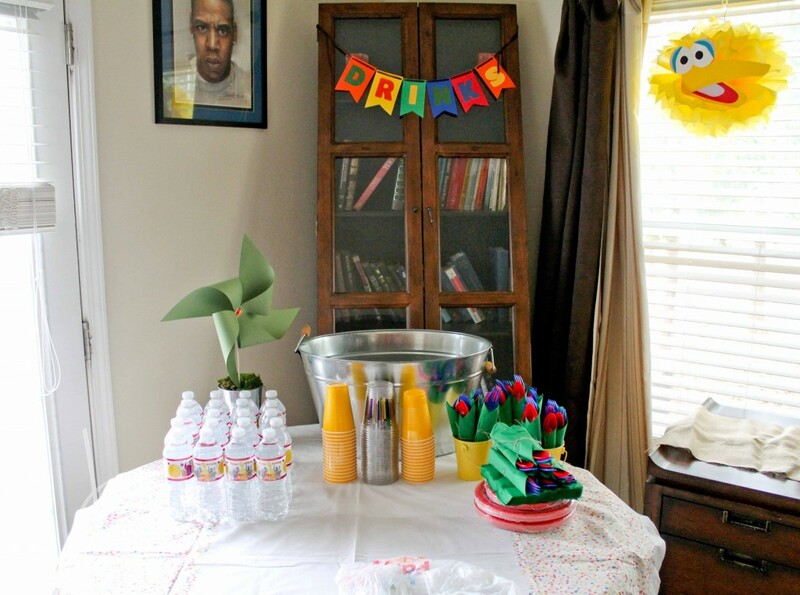 I know who to call upon for inspiration for my girl’s birthday party now! Love it! Happy belated birthday Nolan!!! OMG!!!!! What a beautiful and wonderful birthday!!!! 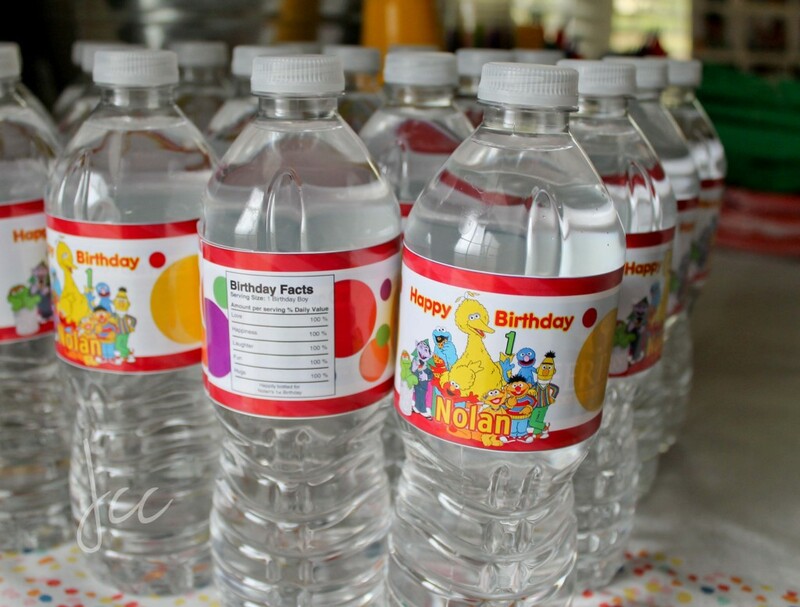 I am planning my nephews second b’day this coming Saturday and I am not nearly as prepared as you. many blessings to your family!!!!! Ahhh sorry I missed it. Lovely! It’s ok, there’s next year. Thanks Karma! I’m sure you will a great job! Beautiful family, adorable baby…… The party look like alot of fun for all, enjoy the baby he will grow up so fast. Aww thank you Yasmin, we had a lot of fun! 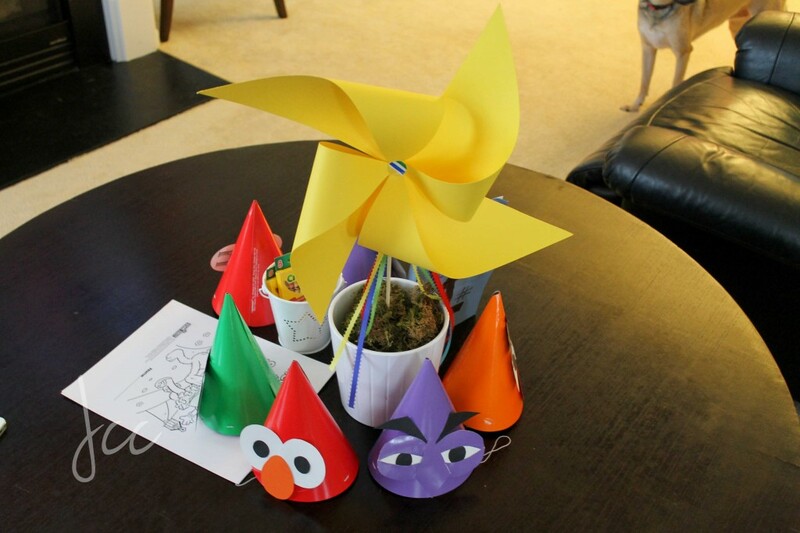 Aww thanks Alica, I had lots of fun doing these projects. Its always more rewarding when you do it yourself. Jehan!! Wow I can’t believe he is already a year. Congrats you did a heck of a job! 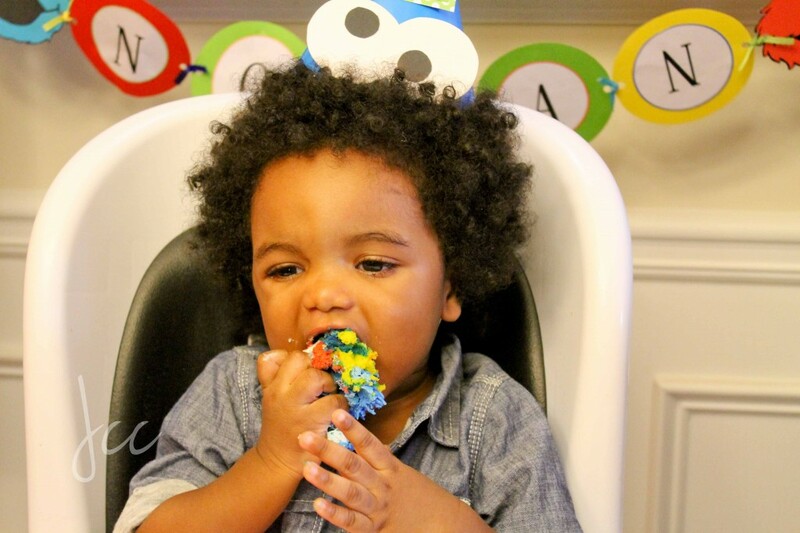 That Cookie Monster cake must have taken you forever. Thank Kameka, and surprisingly it did not. I must say it was one of my less challenging cakes. It looks way more complicated than it actually is. He is simply adorable! Too cute for words!! Happy Bday to the little pickne. 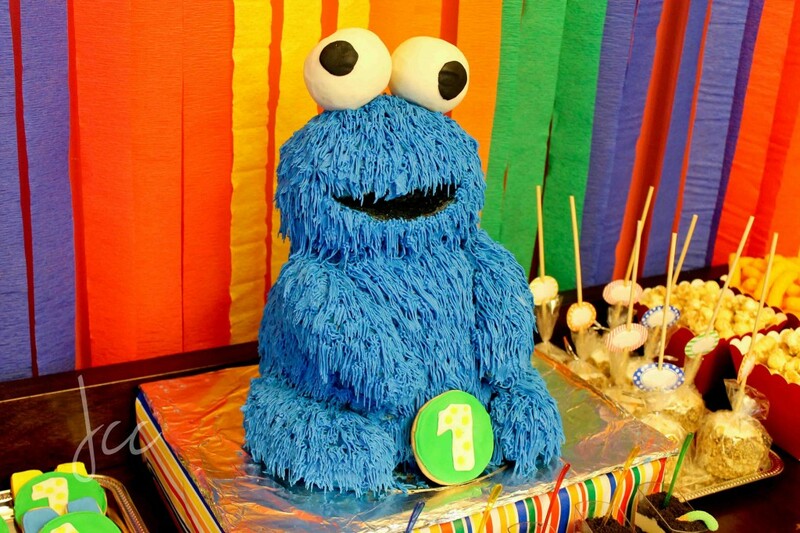 I have to say that Cookie Monster takes the cake, no pun intended. Your very creative beyond normal when it comes to food. Thanks Dada and Jocelyn. Dada that made me laugh for some reason. Awesome job!!!!! You are such a creative person! Sorry we missed it would of loved to give him a big hug and kiss!!! Thanks Terri. I would have loved it if you guys were here but I understand :-). Your son is adorable. Happy Birthday to him. 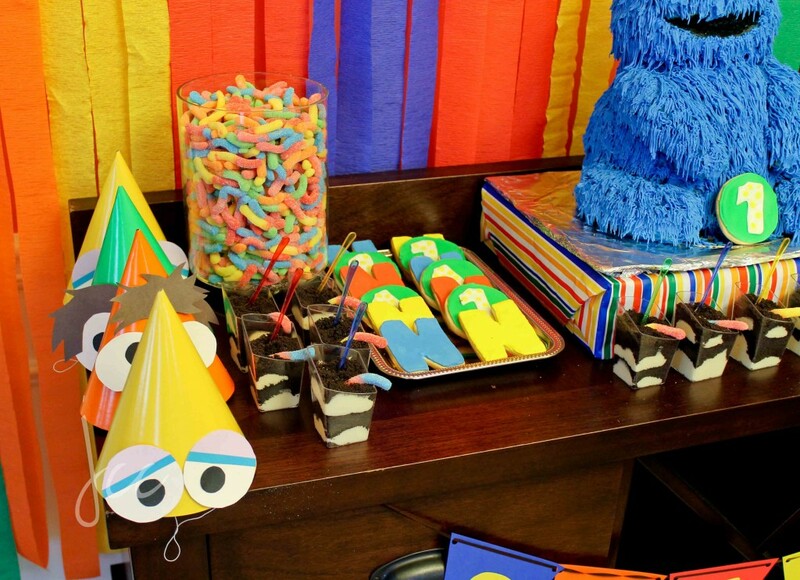 You did a great job with his cake and decorations. I can’t take his cuteness. He is so sweet! 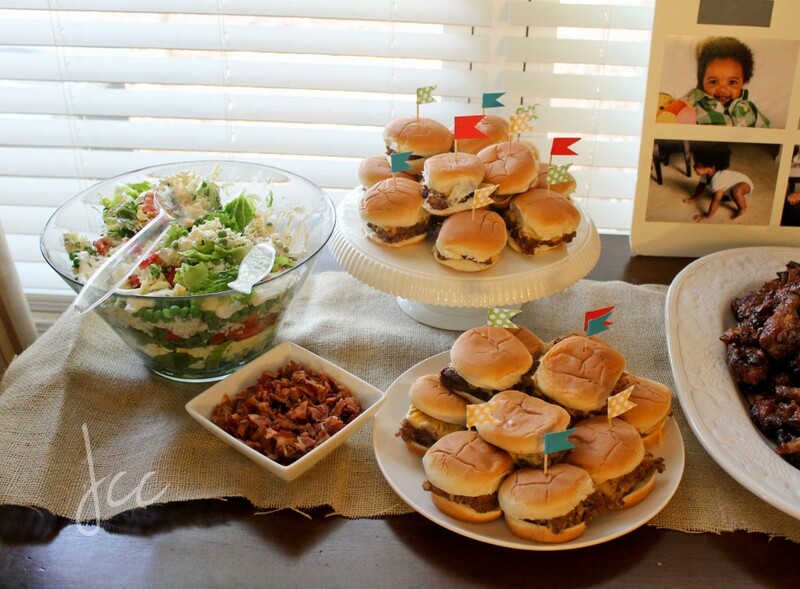 I envy people like you who can pull a party together like this. I can always see the stuff in my head but its really weird that I can’t get the execution down. Thanks Mimi, I was nervous along the way but once I started putting up the decorations I realized it was even more than I expected. There are a lot of party sites on the internet so you can use those as examples. Thanks Brandi and thank you for visiting. 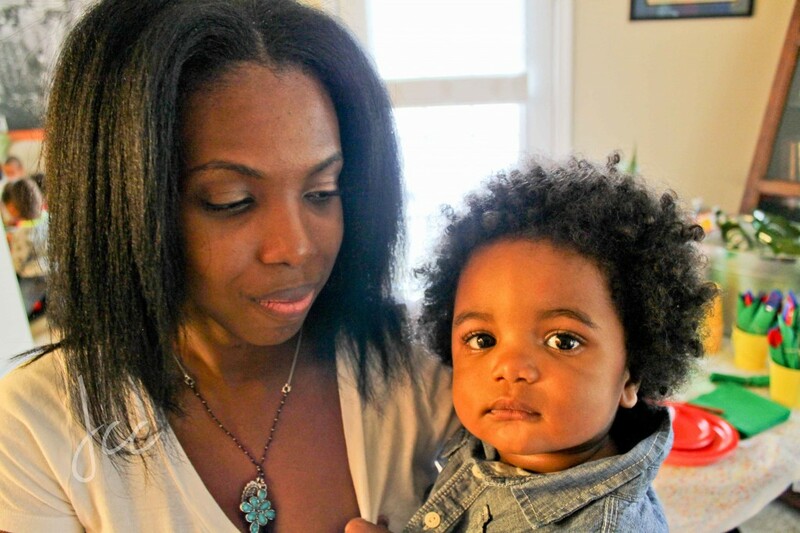 First up, Nolan is GORGEOUS…..and you are a supermom. I love the wonderful cake – what an achievement!!!!! Well done and I’m glad he had a great day! Thanks, as for being a supermom Im still working on that! Oh my goodness, the earthworms and the dirt! that deserves an award really. *blink *blink *falls off chair..that is tooo cute and Nolan street..I have no words! love the ‘N’ makes me think of the sesame episode the letter ‘n’. i must ask was the dirt cake? Thanks Alli, the dirt cake is pretty simple, it’s oreo cookie crumbs layered with a pudding mixture that’s made of vanilla pudding, cream cheese, butter and whipped cream…all things yummy. girl thats it right there great job! 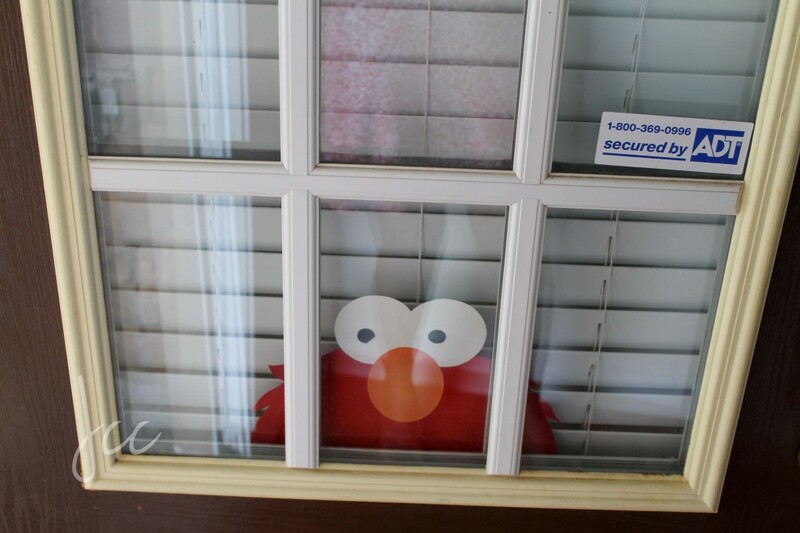 Oh wow….your decorations blew me away and your son is adorable, such a cutie pie. Aww Thank you Wizzy, they turned out better than I expected. He is stunning and this party is fab. I am pinning this ! love love love! Aww thanks for the kind words and the pin. You went all the way! 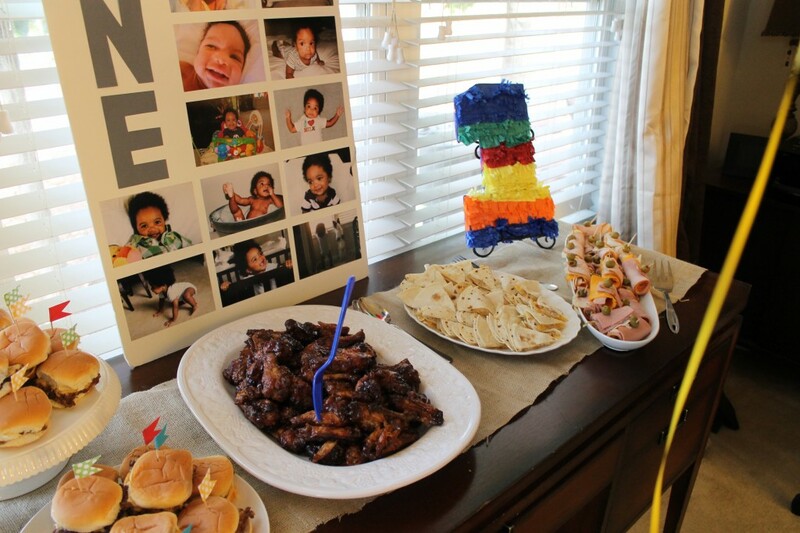 Such a sweet momma to put all of this love into your baby’s party. When he looks back on this, he’s going to swoon. Awww Thanks, I just couldn’t help myself and I hope he does one day. Nolan is adorable!! Great job Jehan. 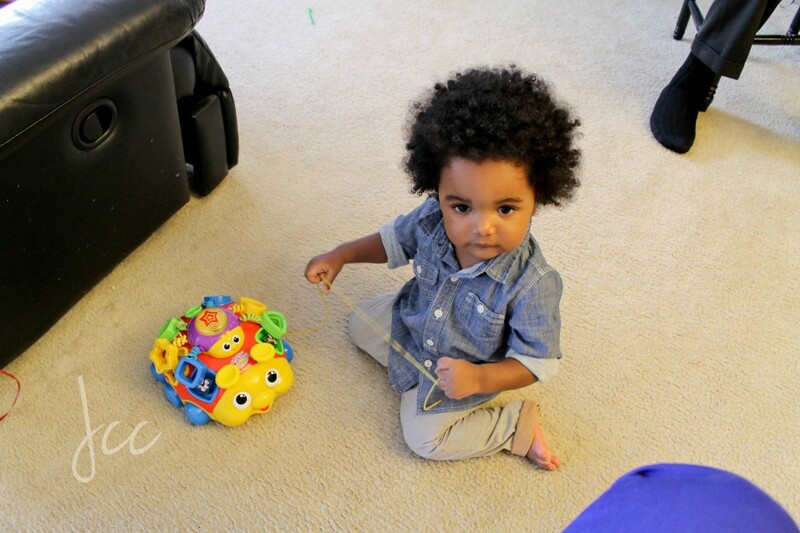 I love his sweet little curls! Where did you get those adorable asymmetrical clear cups for the dirt cups?? LOVE! I want them for my wedding. Torie, I found them at Party City. Adorable. I need those templates for the party hats. I am working long hard hours on stuff also lol. 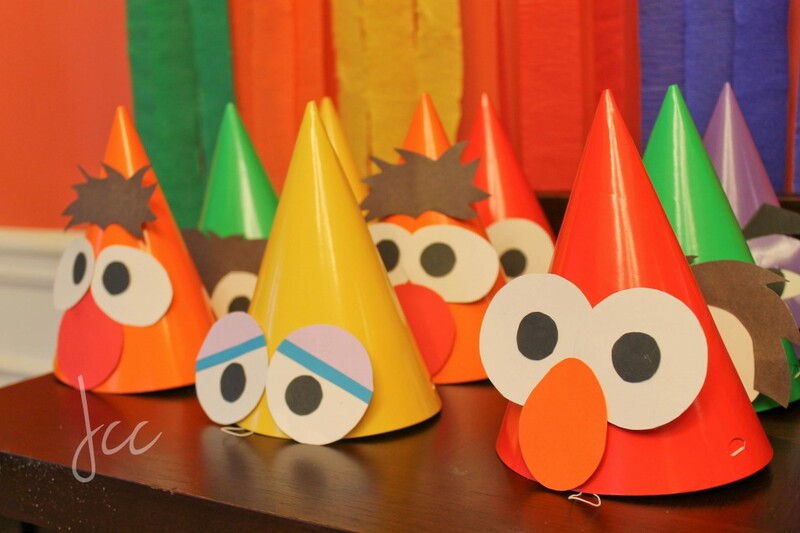 The party hats are cute. What a beautiful party! And your son is adorable! 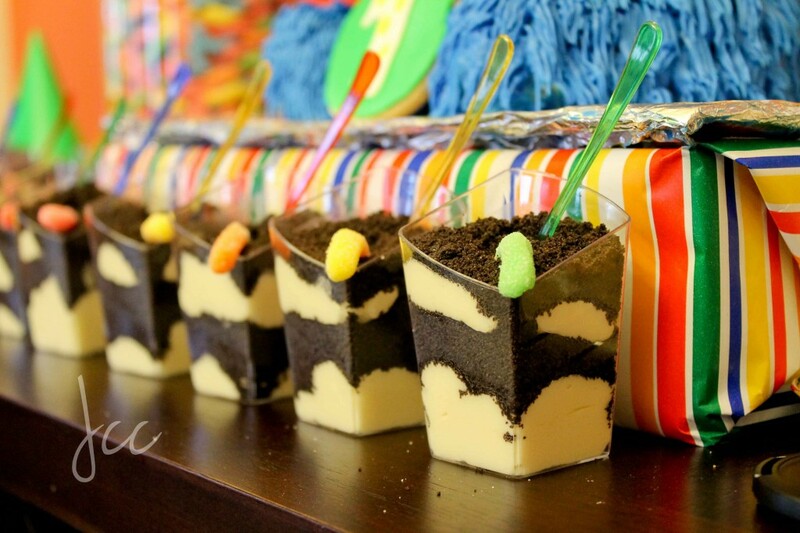 I am making dirt cake cups for my daughter’s 4th birthday party, and I have been looking everywhere for those cups. Please, where did you find them? Spoons, too! Thanks Diane, I found it at Party City.